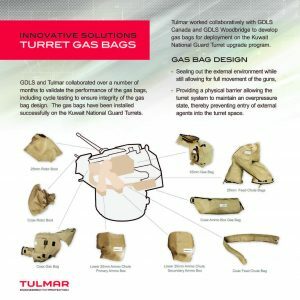 Tulmar’s expertise in coated fabrics and inflatable technology enables us to develop unique protective solutions for the most demanding applications. 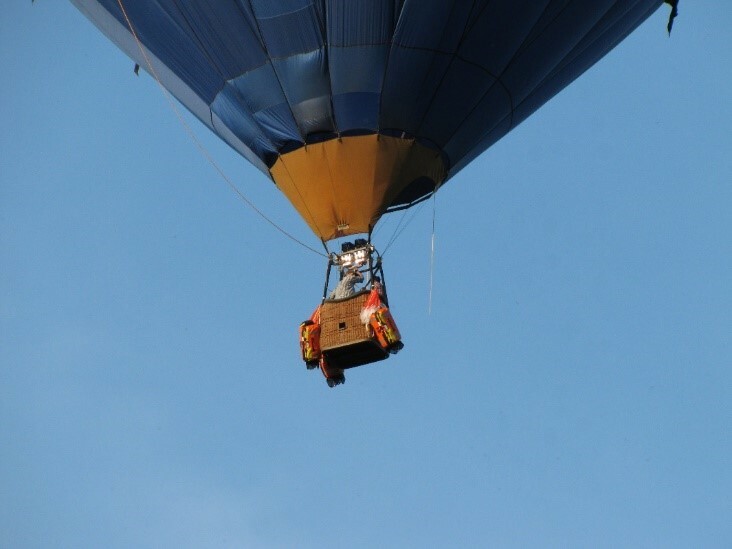 We engage in collaborative innovation efforts with government and private sector clients in the areas of inflatable devices, personal and collective protection, vehicle stowage and seating. We also have R&D programs underway to investigate new materials and joining technologies that will introduce new capabilities, enhance product performance and reduce environmental impact. 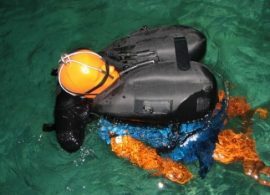 Following a search and rescue incident in the Arctic in 2011, Tulmar was commissioned by the Department of National Defence to develop modifications to sea rescue kit used for SAR operations. 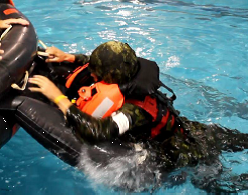 Tulmar successfully developed an Arctic life raft for use on ice or in an ice and water environment. 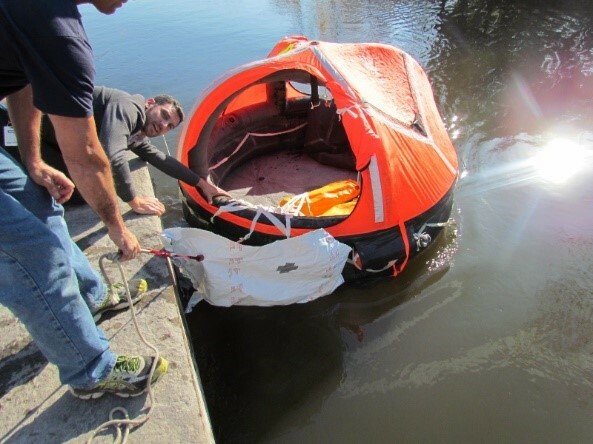 The life raft is deployable by airdrop, anchors to the ice and inflates with nitrogen gas. 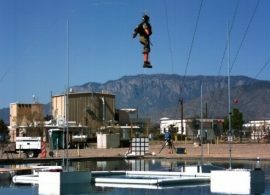 For this project, Tulmar collaborated with Mirada Research and Manufacturing to develop a unique water-activated inflation valve. 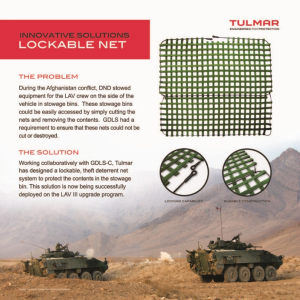 When vehicle refurbishment projects require textile protective solutions, Tulmar can play a key role. 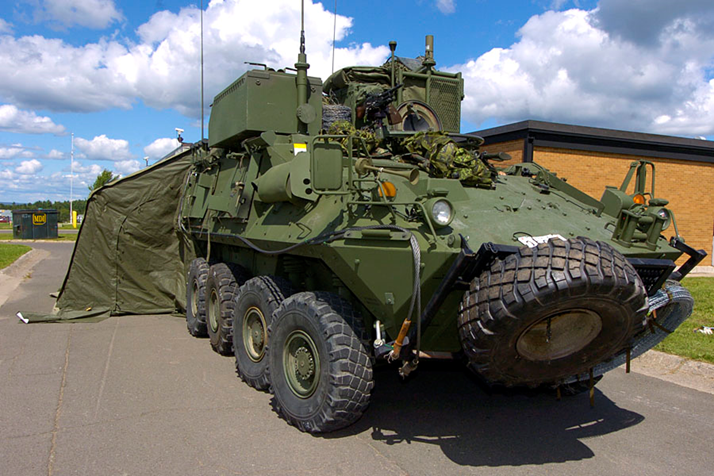 For Canada’s Bison LAV Re-Role project, Tulmar developed a vehicle-tent interface and a generator cover for the Bison CP, mast and antenna covers for the Bison EW, vice and winch covers for the recovery vehicle and a number of stowage solutions including a stowage bag to contain the hardware associated with vehicle camouflage nets. Tulmar’s adapter design incorporates black-out curtains for the side doors and magnets installed along the vehicle attachment points to enhance the black-out effect. 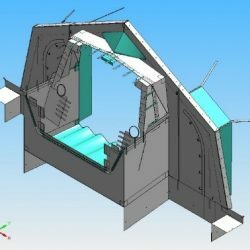 A unique feature of Tulmar’s design is a self-stowage capability. 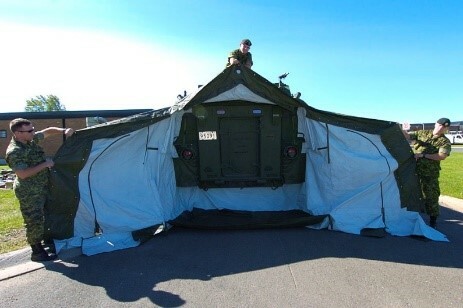 This design feature, first developed by Tulmar for DND’s M577 command post adapter, allows the tent adapter to be folded, rolled and secured with attached straps thereby eliminating the need for a separate stowage bag. Have ideas we can help you with? Click below and share your needs and ideas. One of our technical experts will get back to you shortly.